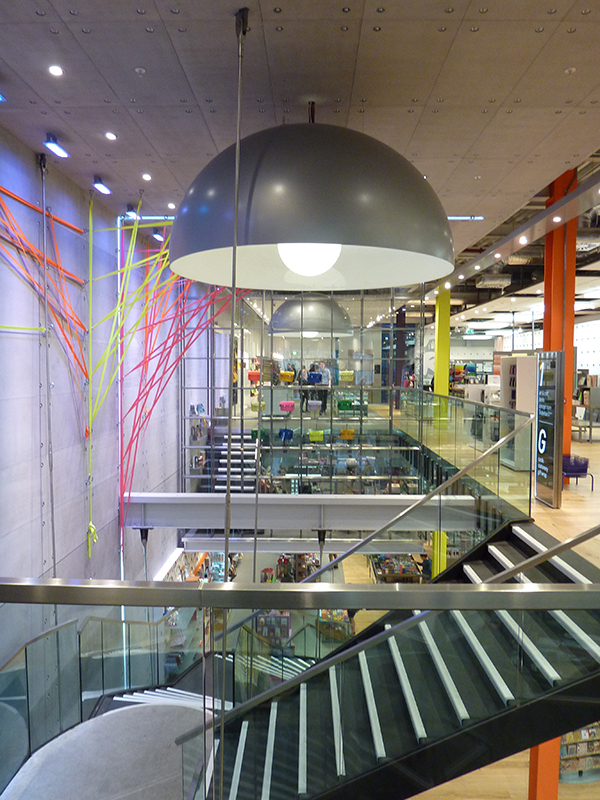 The large two story store on Buchanan Street was a flagship for Paperchase with an on-site cafe area. 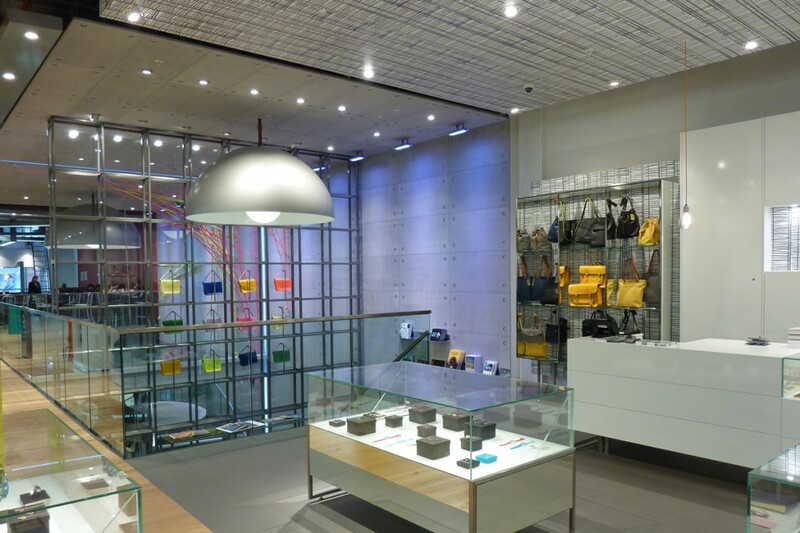 Having previously worked on Paperchase sites with Made In Place into were assigned to design the lighting scheme. It was clear from the first that the client intended this store to be very unique. 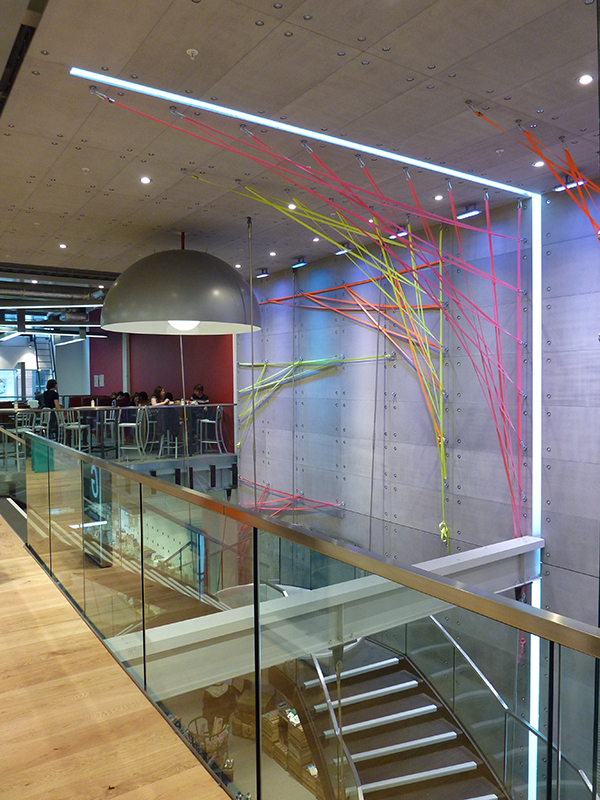 The staircase atrium became a focal point in the design with high power LED colour change projectors washing concrete wall panels. 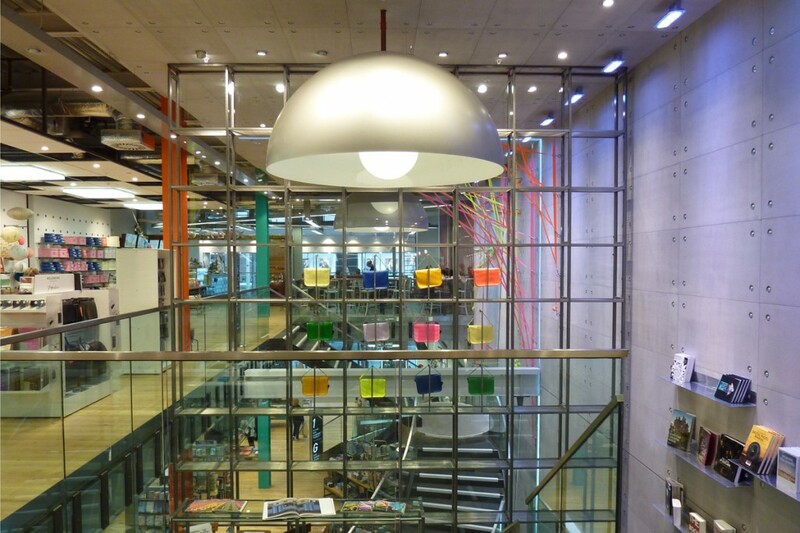 A bright colour change trough with several runs of concealed LED tape provides a connecting strip between walls and ceiling. Large dome pendants were specially made and are a striking feature due to their 2m size and vibrant colours. 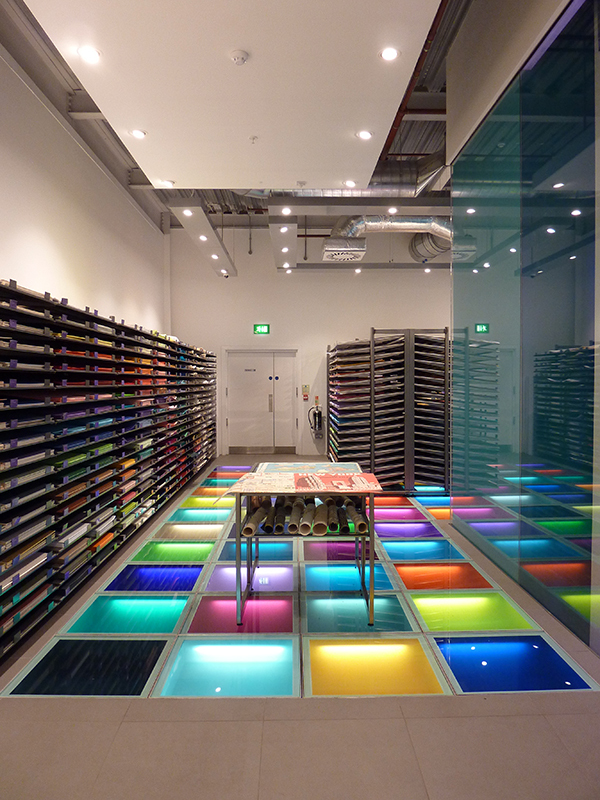 Continuing the coloured theme into helped design a bespoke glass floor underlit with colour sleeved fluorescents. 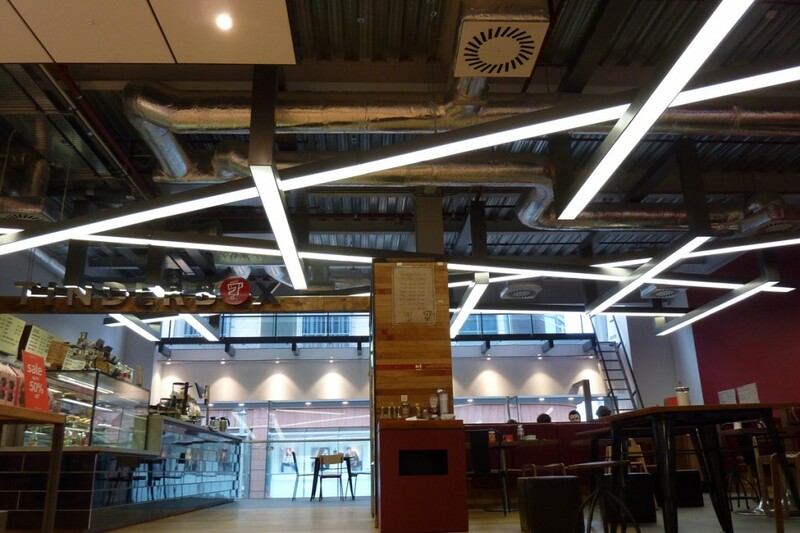 The cafe by contrast is lit with a complex array of suspended linear diagonal light boxes with white light. Pendants are used to give focus to cash desks and help to divide different product areas. The lighting technically achieves good levels of ambient and accent lighting needed for retail with crisp white light and a great presence in this destination shopping street. It also provides dramatic features adding to the interior design and customer experience. 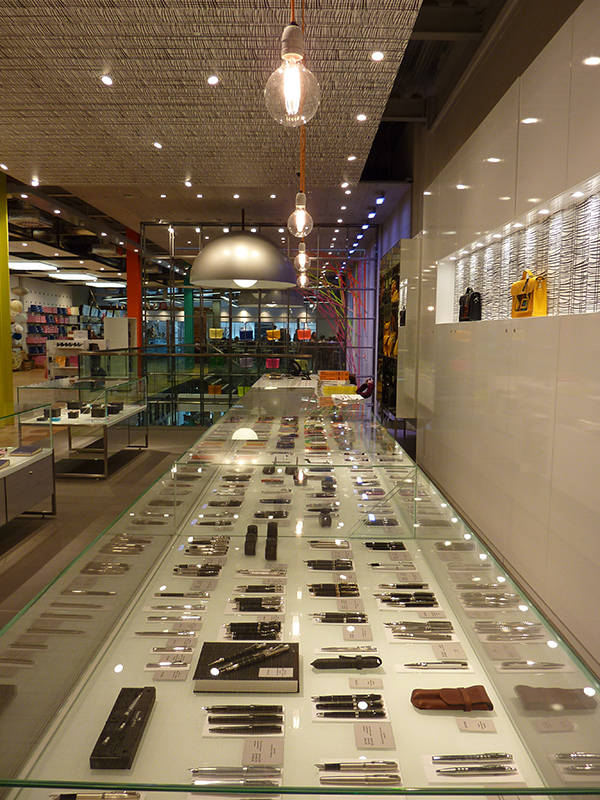 The store was the winner of the ISG Retail Week Interior Of The Year Award 2014.